A boat is chained to a palm tree. Everything on this island seems to be secured with locks ... and you soon come to realize: You must figure out all the combinations to open the locks in to order to escape. If not, you will never leave this island! 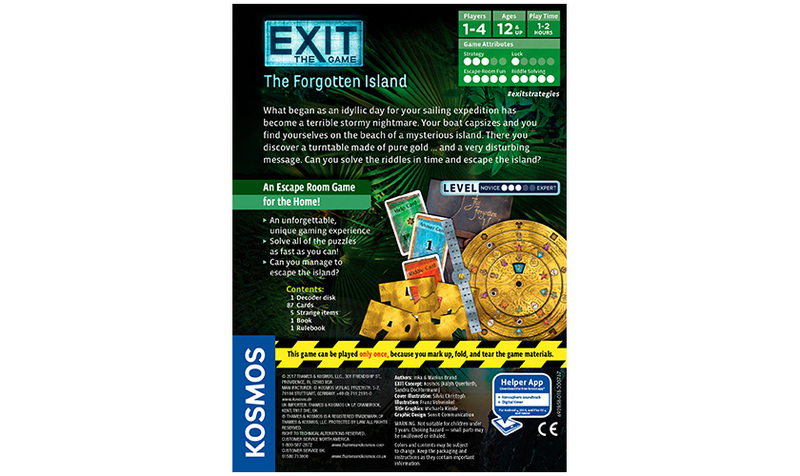 Can you solve the riddles left for you and escape the island? 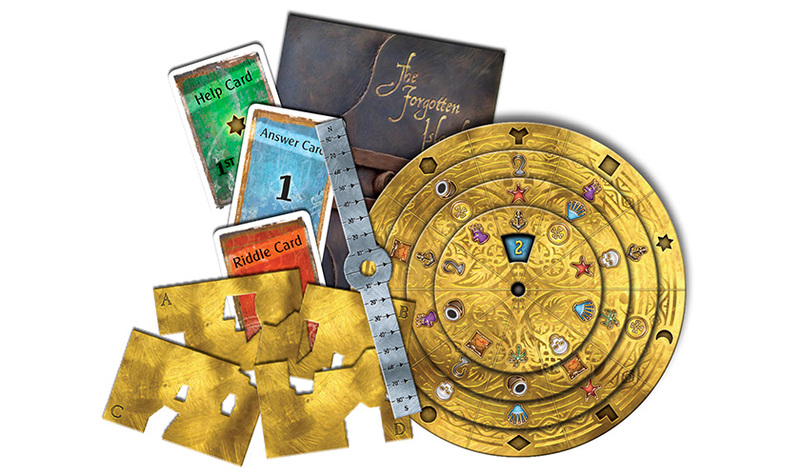 This game can be played only one time because you must markup, fold, and tear the game materials to solve the riddles and escape. 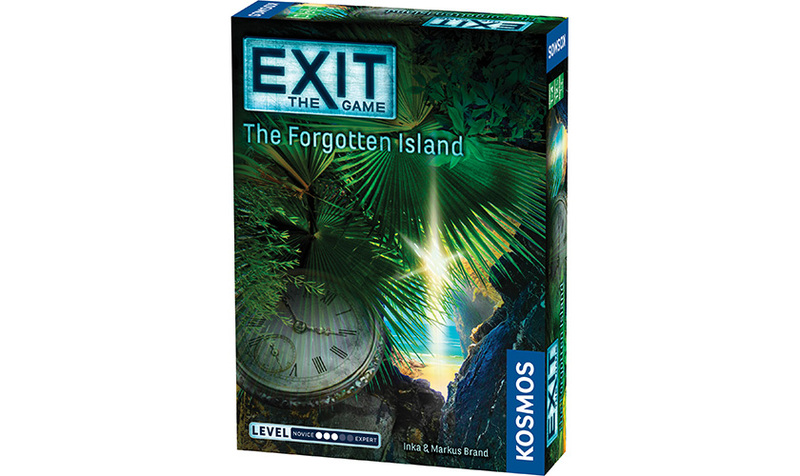 EXIT: The Forgotten Island is available on the Kosmos Helper App!